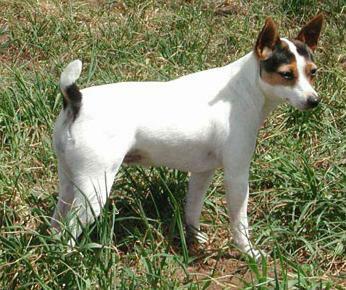 The Tenterfield Terrier originated in England after local fox hunters developed a need for a small, agile dog that was capable of chasing vermin from their dens. 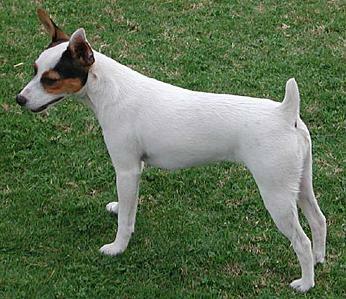 The early settlers to Australia brought out the Tenterfield Terrier as a working dog that would help rid their land of rats, rabbits and foxes. 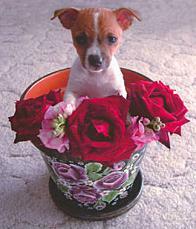 Over the next hundred or so years, the breed became quite established in Australia as a working terrier and family companion. In fact there was hardly a farm in Australia that didn’t have at least one of these terriers. 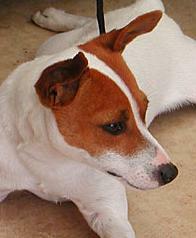 The Tenterfield Terrier is well known for its lengthy lifespan and can live to anywhere between 12 and 20 years of age. The Tenterfield Terrier is a strong, active, agile working terrier of great versatility and has proven itself, without question, as a keen hunter and an extremely loving pet. The Tenterfield Terrier is equally at home hunting vermin (large and small) on the land or curled up on a loving knee in front of a fire. It is an ideal companion for both children and the elderly alike. The Tenterfield Terrier is very amicable with other pets. They are often used as companion dogs for larger breeds and can become the best of friends with the family cat when introduced as a puppy. They also get along very well with other Tenterfield's, even when running in a pack. However, the Tenterfield Terrier is a true terrier in temperament and therefore will not hesitate to "stand up for himself" should he feel threatened. The Tenterfield Terrier is a simple wash and wear dog that needs very little upkeep other than keeping the toe nails trimmed, the teeth clean (as with any breed) and an occasional brushing to remove loose hair (especially when dropping summer and winter coats). However, the Tenterfield Terrier can have a mind of its own so early training is a great advantage. Owners should also be aware that these dogs love to dig and will need to provide plenty of toys to keep it entertained, especially when left alone for long periods of time.